Drink one green drink (smoothie or juice) per day. 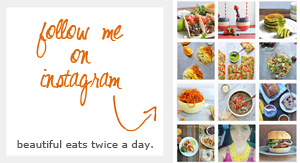 Try at least one new food. Exercise at least 4 days a week (45 min). Have a toddler-less lunch with a girlfriend. I did a little research and you can eat it raw or cooked, but when it's raw it has a distinct licorice-y taste. And I HATE licorice! Sooooo, I opted for roasting the fennel bulb in thin slices along with some pear. 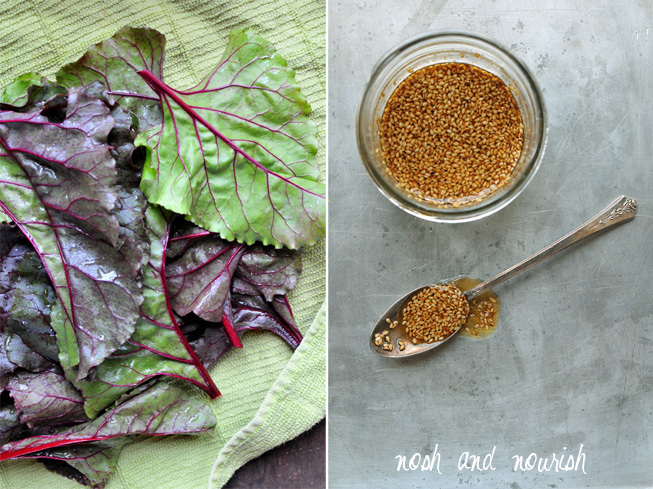 I handpicked these beet greens from my garden and threw together a simple sesame vinaigrette which I thought might balance the flavor of the fennel if it was too strong. (It wasn't). 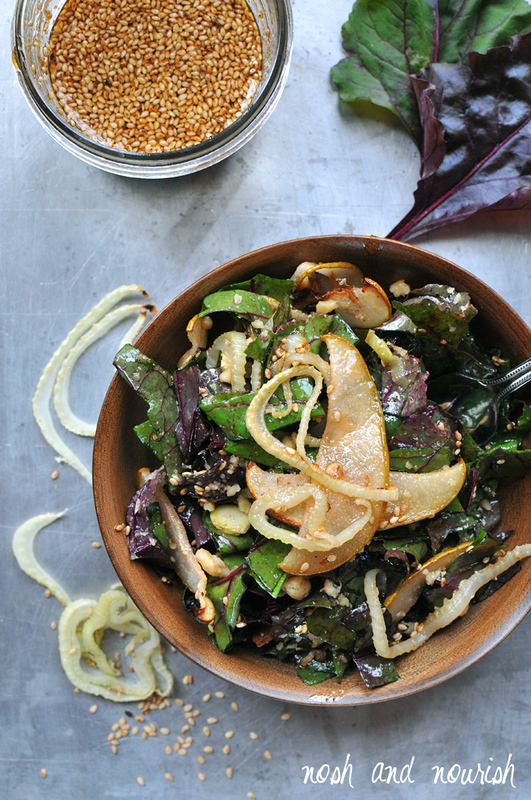 I could seriously eat this salad all day! It was so delicious. 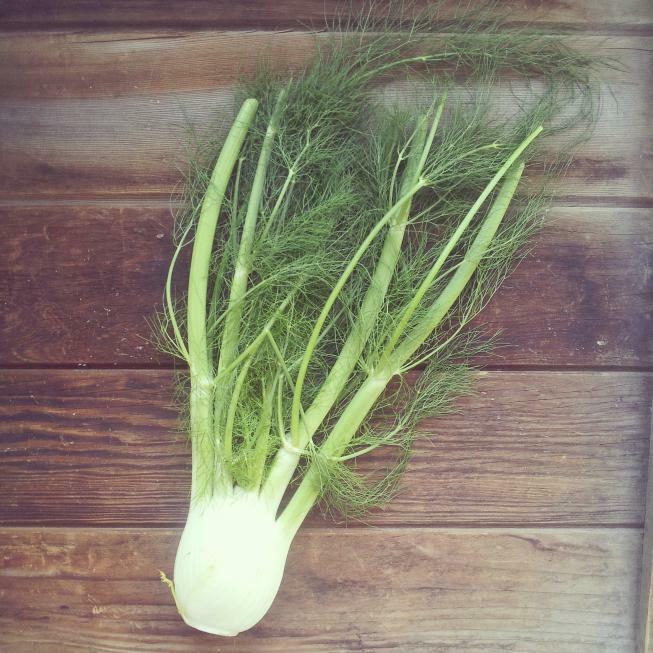 The perfect balance of flavor, textures, and nutrients... if you've never had fennel before, this would be the perfect recipe to start with! Have you ever had fennel before? 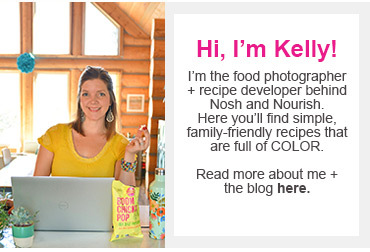 Do you ever try new fruits/veggies, or do you tend to stick with what you know? Thinly slice the fennel bulb and pear. Lay on a parchment paper covered cookie sheet in a single layer. Roast in oven for 15 minutes. Combine the sauce ingredients in a small bowl (sesame oil, garlic powder, rice vinegar, soy sauce, maple syrup, and sesame seeds). 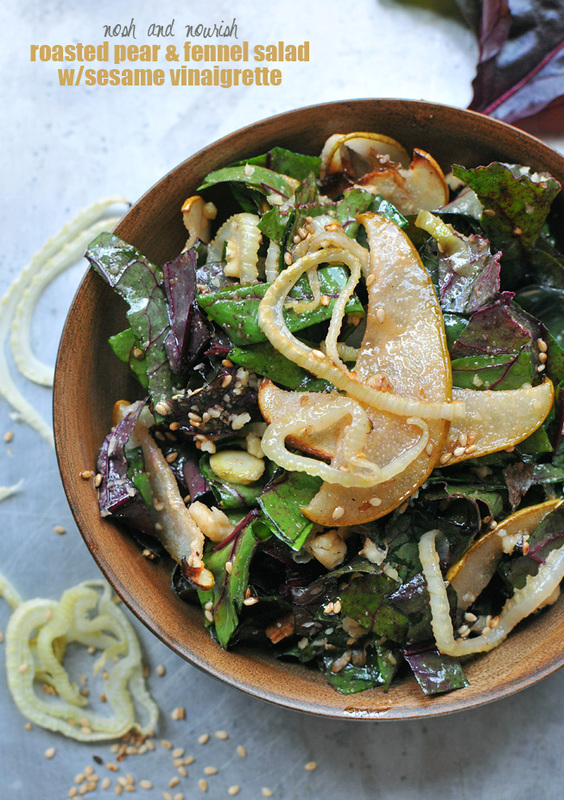 Dice the beet greens, then mix everything together in a large bowl: greens, roasted pear, roasted fennel, walnuts, and vinaigrette.